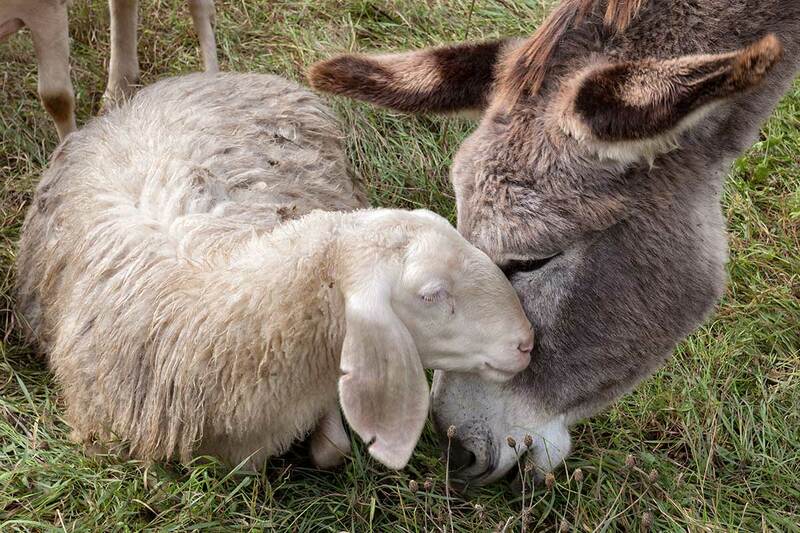 Many thanks to New James+, who shared his recent joyful discovery on twitter: "Today I learnt about donkey nannies, which are donkeys that are used to transport newborn lambs from high pastures to the plains when the lambs can't make that trip themselves. They're taken out after the day's journey for food and nuzzling with their mothers." Check out more photos of trans-species love here. Today I learnt about donkey nannies, which are donkeys that are used to transport newborn lambs from high pastures to the plains when the lambs can't make that trip themselves.